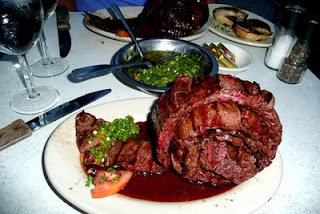 When my husband and I first visited Miami more than 10 years ago, my brother took us to a tiny little Argentinian steakhouse to have one of the most memorable meals of our lifetime. 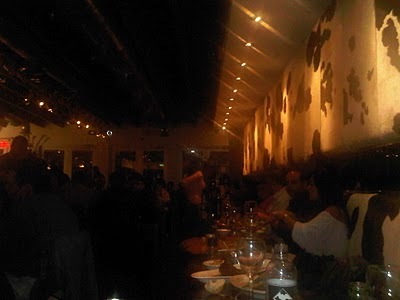 Back then, the restaurant consisted of just a few wooden tables and ... I am embarrassed to admit, a menu I cannot recall, but the taste of the skirt steak, I could never forget. Is it any wonder that no trip to Miami for our family can be considered complete without a meal or two or three at Parrillada Argentine Steak House? 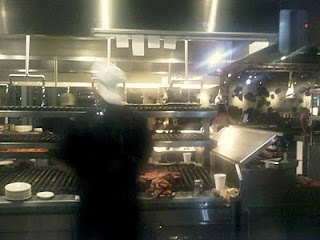 know you have arrived at a carnivore's dream dining destination. The star attraction at this restaurant, of course is their traditional rolled skirt steak. The wisest thing to do would be to forego the warm bread out of the oven and the chimicchuri sauce already on the table and wait patiently for the steak to arrive but I have yet to succeed in this endeavor. If pressed to criticize anything, I would have to say that, I wish the steaks arrived sooner, so we wouldn't be tempted to overindulge with the appetizers. I am very loyal when I find something that is truly exceptional, but in some of the few times I have been there with my brother, he wanted to try out something different from the menu and it has not been disappointing. This time, Cenk wanted to try their breaded, fried chicken and was happy with his choice. I preferred to stick with my usual skirt steak and only added grilled red peppers to accompany it. The chimicchuri sauce, which is basically chopped garlic and parsley in olive oil, is actually meant for the steak but I put it over the grilled peppers instead; I like to taste the flavor of the meat when I am having a steak and don't like sauces on grilled meats. The combination of the peppers with the chimicchuri sauce turned out to be perfect for my palate. 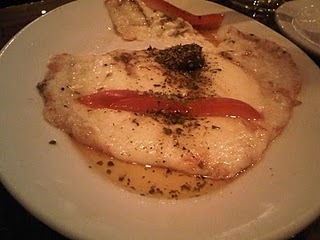 Since we were famished when we arrived, we also ordered the grilled provolone which was also wonderful. P.S. There seems to be an impressive wine cellar, and I was happy with their recommendation the one time I had wine to accompany my meal but I cannot lay claim to be a wine aficionado so don't take my word for it. There are also outdoor tables on the sidewalk, and parking is available.